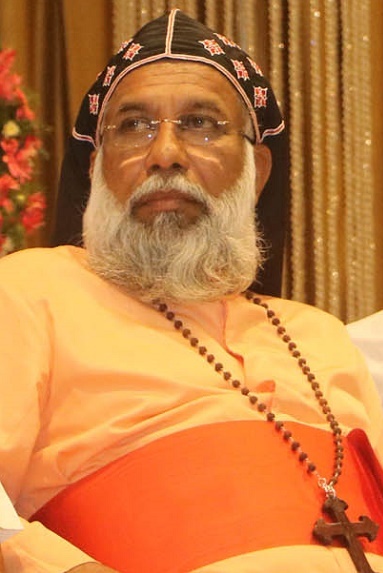 The President of the Catholic Bishops’ Conference of India (CBCI), Cardinal Baselios Cleemis, has expressed a lack of trust in the government headed by Prime Minister Narendra Modi, as the leader of the ruling BJP – known for pursuing a Hindu nationalistic agenda. “The country is being divided on the basis of religious belief. It is bad in a democratic country. I want my country to be united in a secular fabric. But now, this country is being polarised due to religious affiliations. We should fight against it,” Cardinal Cleemis was quoted as saying by the Indian Express. Cardinal Cleemis shared with media in New Delhi on 21 December his concern over a sudden spurt in anti-Christian violence after his visit to Satna in central Madhya Pradesh state, which made headlines when a team of carol singers were assaulted and then detained by police. The 30-member Catholic carol team, of seminarians and two priests, was accused of attempting to forcibly convert Hindus in remote Bhoomkhar village, about 15km from Satna, on the night of 14 December. 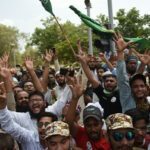 Following an allegation by a Hindu fundamentalist outfit called Bajrang Dal, the police detained the entire team, while the car of eight priests who came to help was torched outside the police station. “I agree such incidents can happen in a big country… But how do you evaluate the strength and stand of the government? It is the subsequent action and the legal protection that matter,” the report quoted Cardinal Cleemis as saying. Though India’s interior minister Rajnath Singh had assured the head of the Catholic Church of the “safety” of Christians when the Cardinal called on him after his Satna visit, Cleemis said the incident threatens the “credentials of our democratic system”. The police remained silent spectators when the Christians were manhandled inside the police station, he added. When the bail application of the seven came up for hearing on 17 December before the court in Mathura, 160km south of New Delhi, the judge dismissed it, saying “lawyers were not present”. Meanwhile, hardly a day passes without incidents in the media of Christians being threatened not to celebrate during the festive season, and of Christmas celebrations being disrupted. One such threat was also from Uttar Pradesh (UP), ruled by the BJP, in Aligarh – where the Hindu Jagran Manch (Hindu Vigilance Council) told Christian schools not to celebrate Christmas. However with global media promptly highlighting that threat, following the attack on the carol singers, the BJP state government said it has asked the HJM to deposit one million rupees as a guarantee that it will not indulge in such acts. While the Aligarh area has not yet reported any attacks on Christian institutions, despite this threat, another BJP-ruled state, Rajasthan (bordering Pakistan on its west), saw an annual Christmas fair disrupted by the Vishwa Hindu Parishad (World Hindu Council) at Pratapgarh town on 21 December. Scroll.in, a leading news portal, reported that the incident took place at night. 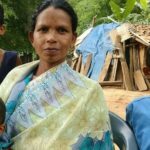 The perpetrators tore down decorations, snatched the microphones of the gathering, threw away their Christmas calendars and Christian literature, and accused them of carrying out conversions under the pretext of Christmas celebrations. That happened days after Mohan Bhagwat, chief of the RSS (Rashtriya Swayamsevak Sangh – a national volunteer corps known as the fountain-head of aggressive Hindu nationalism), said “anybody living in India is a Hindu”.